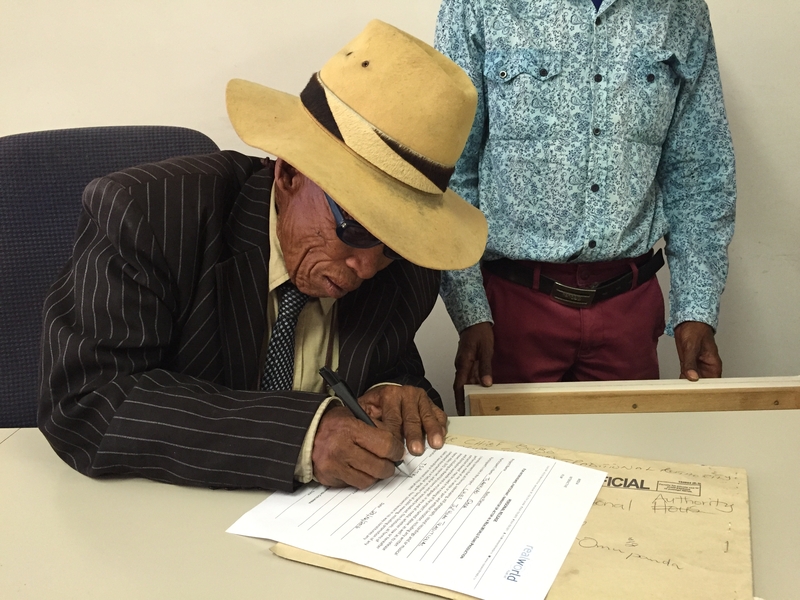 Leon’s Father is the Chief of the Ju/’hoansi San people and a revered Elder in the community. 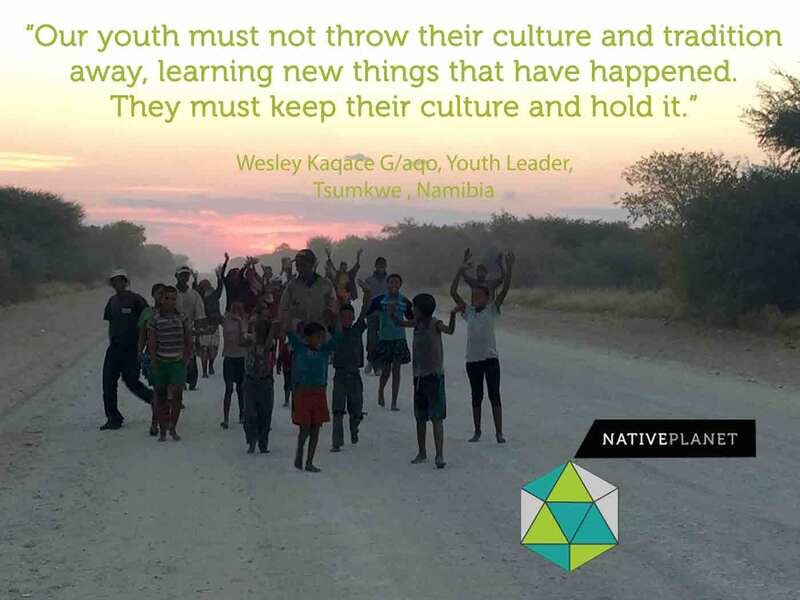 While the Nyae Nyae Conservancy manages the conservation of their territory, culture, and wildlife resources, there are other pressing social problems in Tsumkwe that Chief Bobo Tsamkxao is attempting to solve. 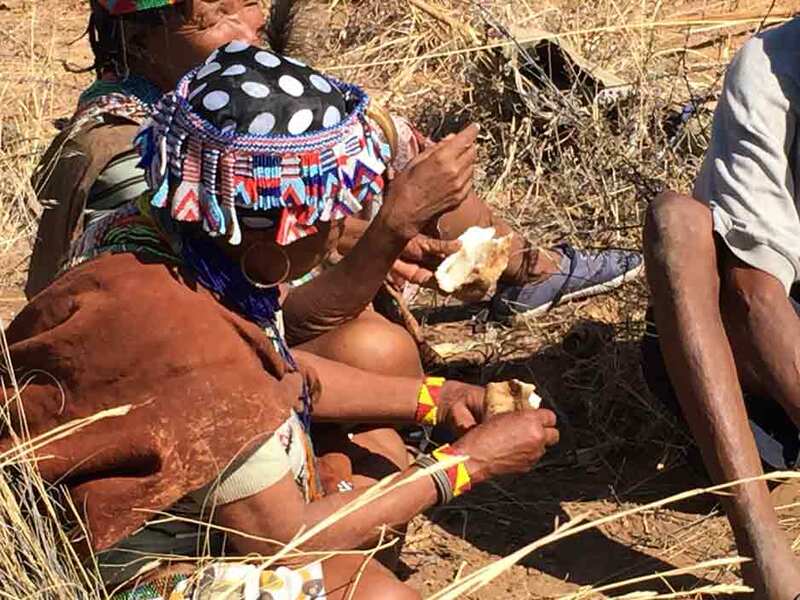 The encroachment of neighboring tribes and their cattle are at the top of his government agenda but progressively alcoholism and the preponderance of ‘Shebeens’ creates new challenges for his community. Leon and Wesley tell me that the youth of their community are particularly susceptible to the influx of roadside bars they call Shebeens. Largely unregulated, they attract what little money this community’s young generation has at their disposal and dampen the practice of their traditional lifestyle. 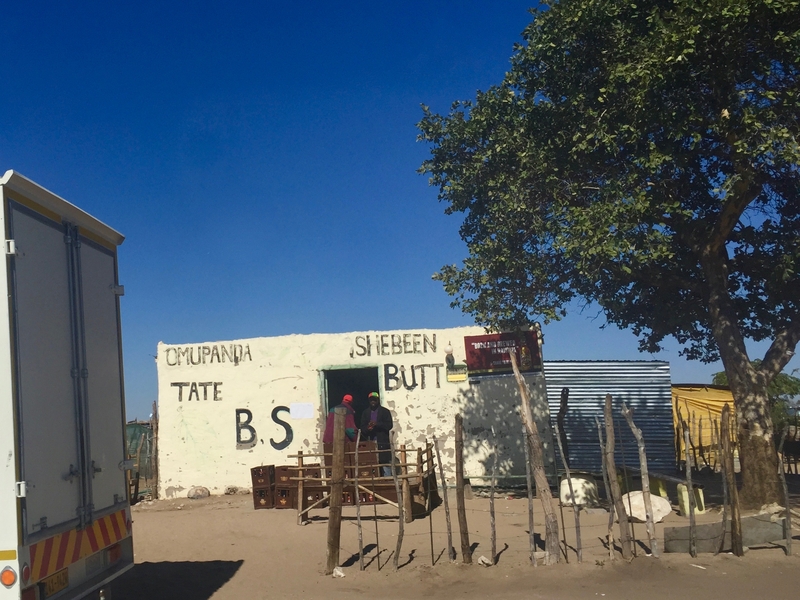 As outspoken proponents of San culture and traditions, it’s not hard to see why both Leon and Wesley are opposed to these Shebeens and the affects alcohol is having on their community. 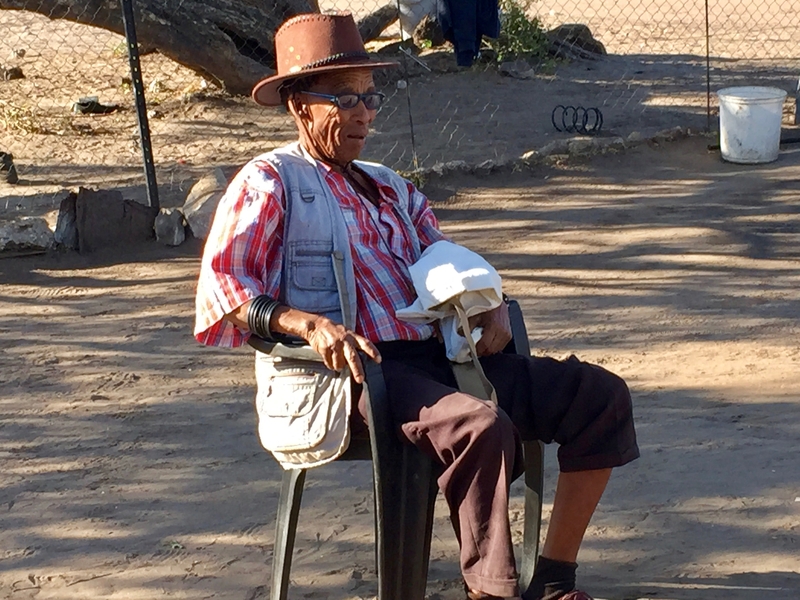 Wesley is convinced that solutions for the alcohol problem plaguing his community must first look to their culture and traditions and the pride he feels as a San person. 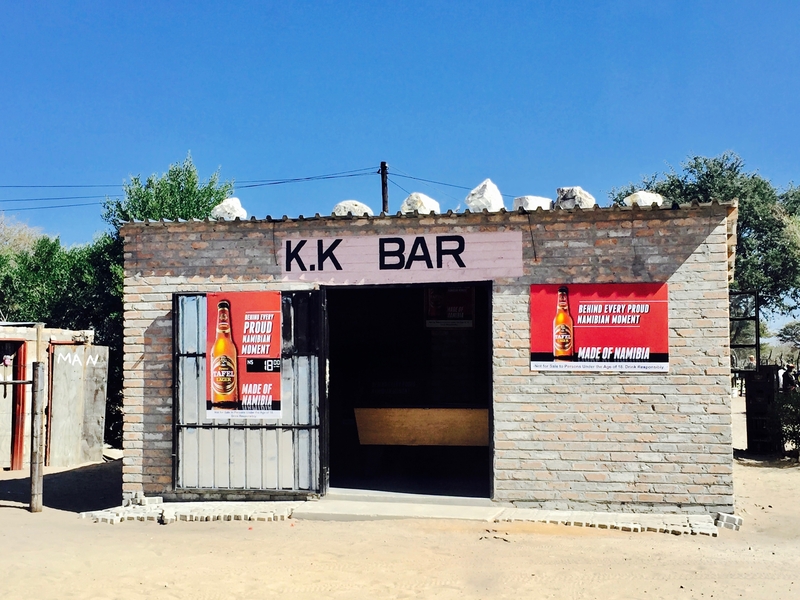 Today, Wesley is taking me to meet his girlfriend who lives with her extended family in a small village outside of Tsumkwe. 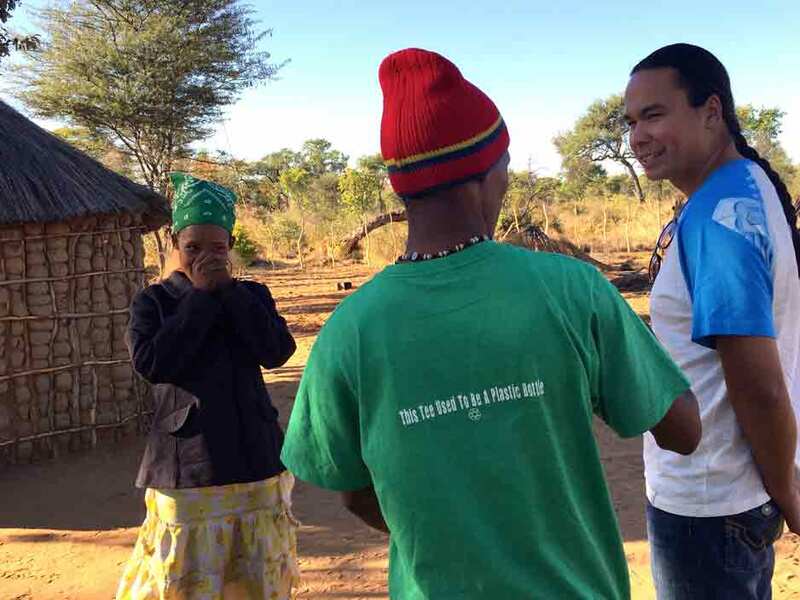 Wesley is convinced that if the San youth can better connect with their traditional way of life, it will go a long way to minimizing the shadow that alcohol is casting on his community. 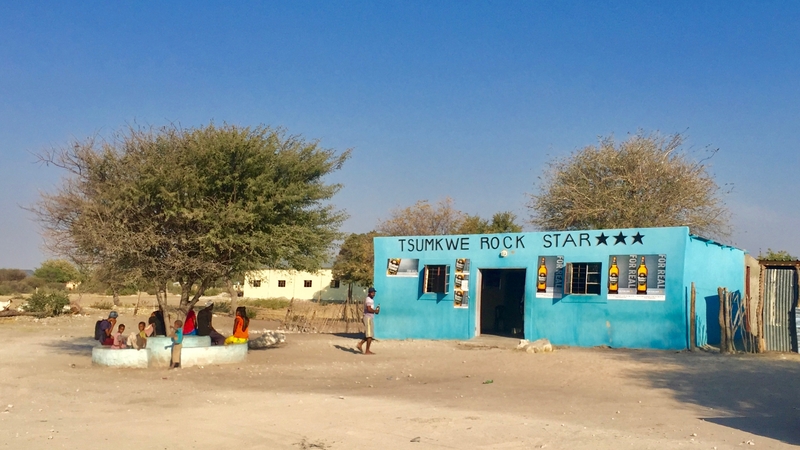 The town of Tsumkwe was established as a settlement decades ago to more easily administer government services to the Ju/’hoansi San community. 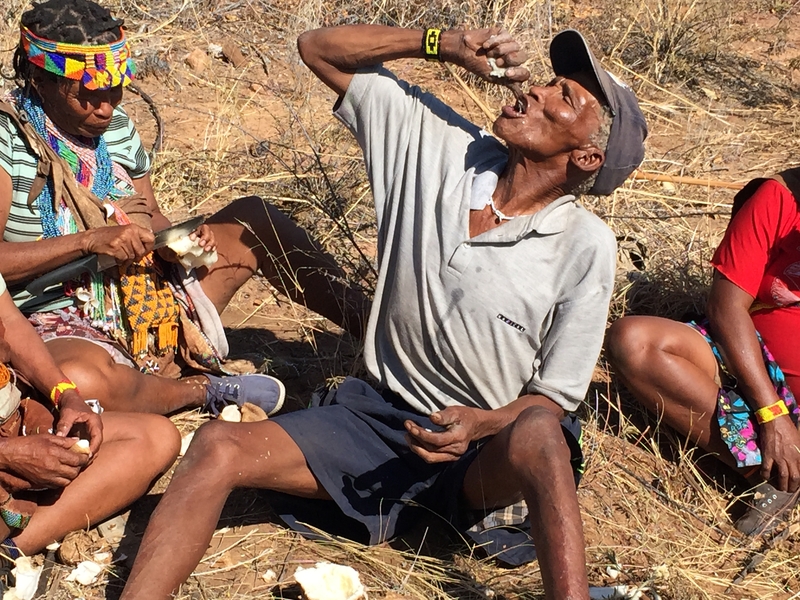 However, this effort to effectively centralize their population disconnected many from their traditional lifestyle manifesting adverse effects on the community – most notably, alcoholism. 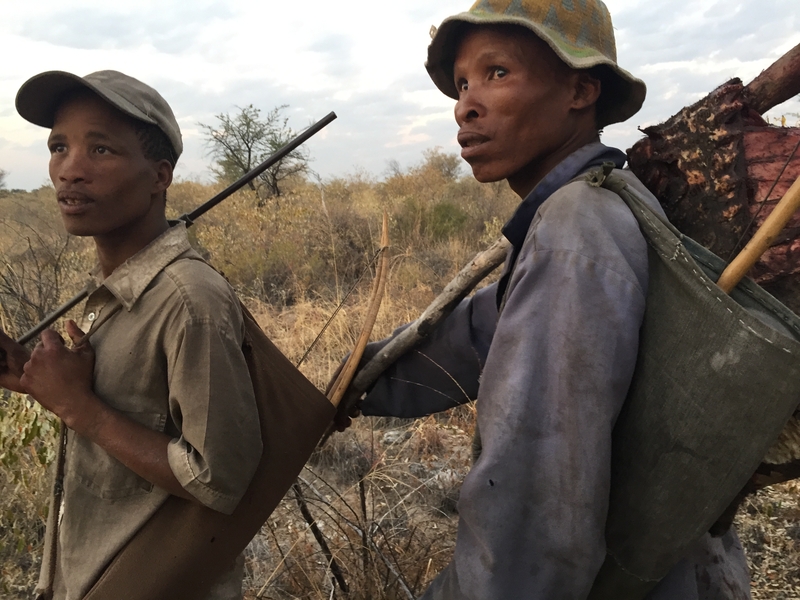 The establishment of the Nyae Nyae conservancy enabled the Ju/’hoansi San to return to their communal villages outside of Tsumkwe where today, traditional hunting and gathering is still a daily occurrence. Leon and Wesley want me to see how their culture and traditions are still part of everyday life in the Nyae Nyae so they’re taking me to one of the outlying villages where a group of men are heading out on a hunt. 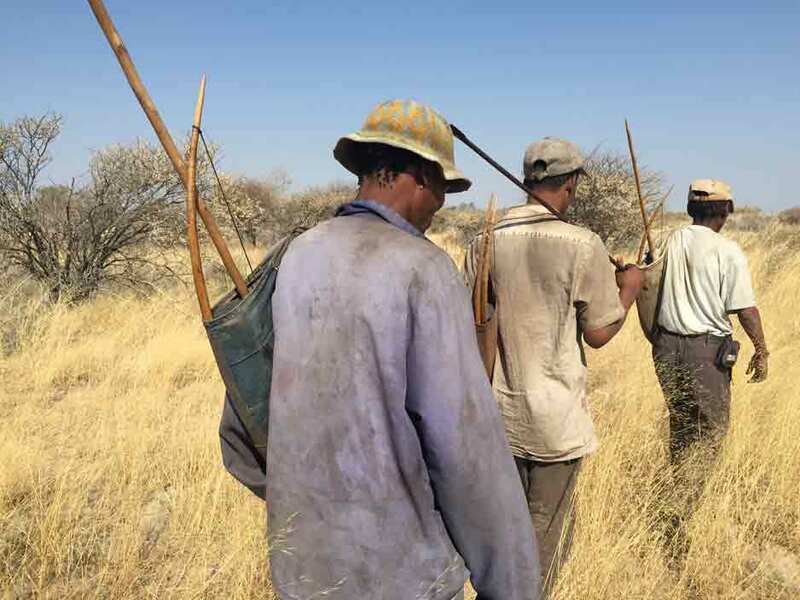 Like the countless generations of San hunters before them, these hunters still rely on their traditional weapons – spears, bows and arrows – to hunt the bush foods that have sustained their people for thousands of years. 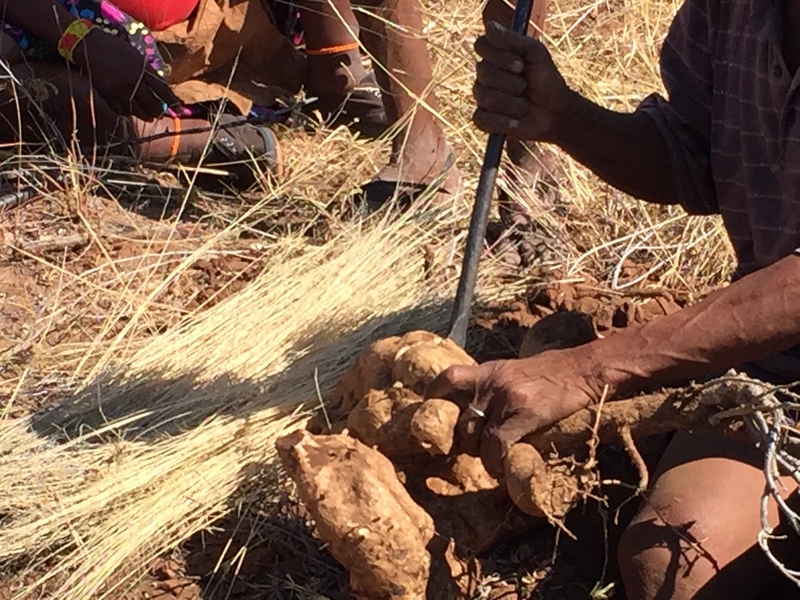 In the Nyae Nyae, the oldest people on the planet teach us that you can live sustainably if your culture and spirit have a relationship with the land. 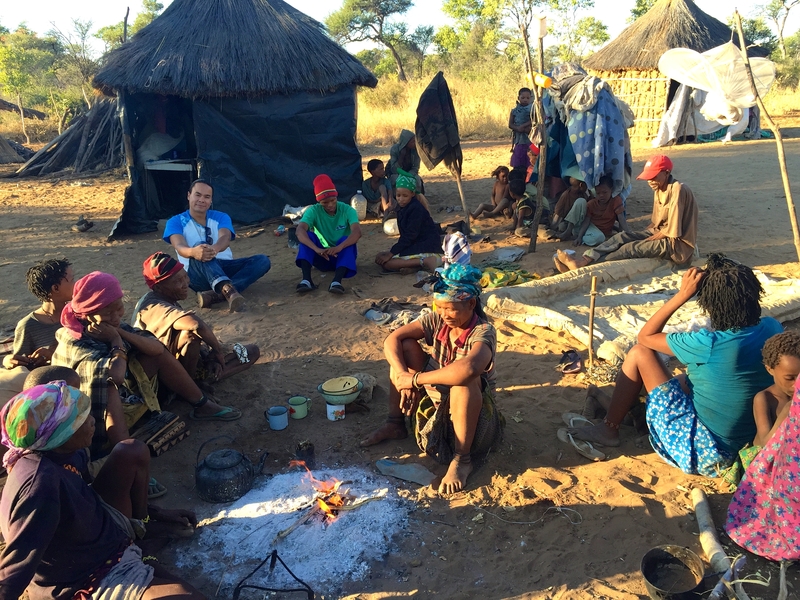 In the time I’ve had the privilege to spend with the Ju/’hoansi San people in the Nyae Nyae Conservancy, I now see why the conservation of their natural resources is intertwined with the preservation of their culture. Before I leave the Nyae Nyae, Leon and Wesley have one more experience they want to share with me. 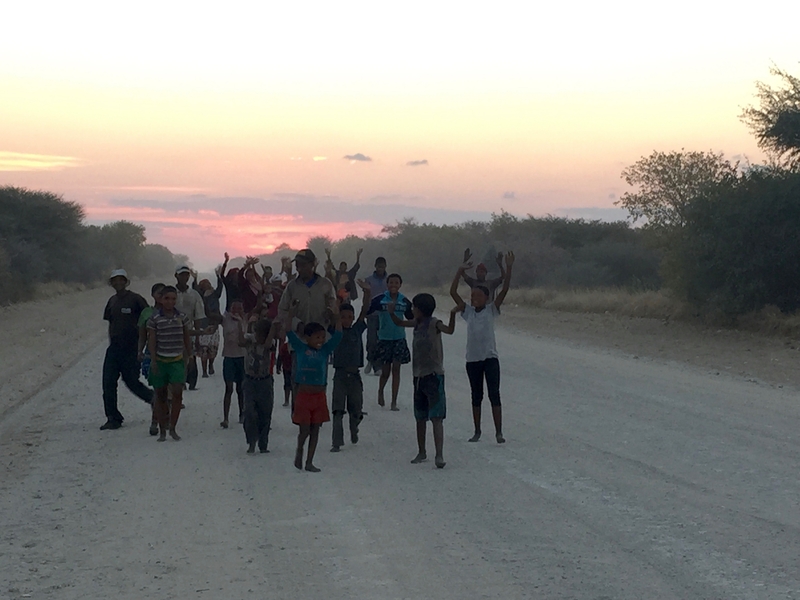 We are on our way to visit a cultural camp the Ju/’hoansi San have established where traditional knowledge for living off their land is being taught and passed down by their Elders. Wesley tells me I’m about to learn that you can sustain yourself in their harsh and arid landscape as long as you know where to look.